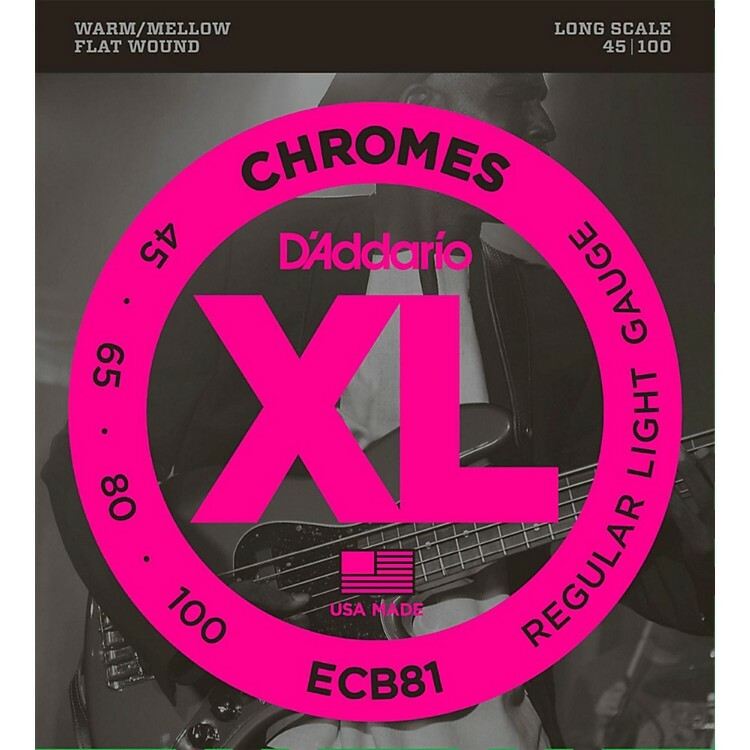 D'Addario ECB81 XL Chromes Flatwound Bass strings are famed for their smooth feel and great tone. The strings are wound and then polished to produce an incredibly smooth surface. Have you boiled out those old strings three times? It's time to get a new set. Order now and save!